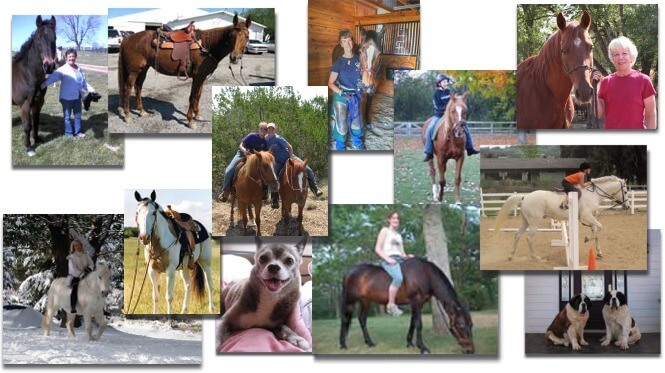 Many of our customers are thankful for their experience with our company and so grateful for their horse’s or dog’s recovery (and an occasional gost), that they have asked us to share their stories. We have been collecting these wonderful stories and we would like to share them with you. Click on Solutions below to see how they have helped others. Would you like to share your horse’s Success Story? We would love to hear it. Here's how: Use our convenient online form (preferred) or send an email to success@forloveofthehorse.com. Please include your name, city and state or country, a working email address, and the year you wrote the story. We would love to see and share your pictures too. Just send as attachment with your e-mail.